The big journey begins with one tiny step. Let this month be the beginning of something huge and amazing that will change your life. That will change the world. Wishing you a lot of strength and inspiration. Finally, a new month. Another opportunity to achieve your goals, make an important decision and change your hair colour. Don’t waist it. Use every day of this month to make a difference. I believe in you, mate! No matter what this new month will bring, I know that you are strong enough to cope with anything. May your spirit get stronger with every single day, and may your smile shine bright through your darkest days. If you are a moving train, no one can stand on your way. I wish you to be that train. May your strength overpower the fear in your heart, and after that you will understand that you are capable of anything. It is hard to run without breaks. Even your heart makes pauses, so I want to remind you that sometimes you have to take a break. Stop thinking about bad stuff and remember that the most important thing is that you are alive. If you’re cold, I wish you to get warm. If you’re tired, I wish you to get rest. If you’re bored, I wish you to get an exciting hobby. If you’re lonely, I wish you to find somebody special. May this month bring the missing piece to you! Good luck! It’s never too late to start running in the morning, to find new job, to fall in love – in other words, to change something in your life and open for new opportunities. This wonderful month is also a great chance for any endeavour. This month is another step on your way to happiness and realization of your dream. Keep running and you’ll reach your goal very soon. Lots of reasons to celebrate life! And all kinds of success! If you ever wanted to start again, new month is a good opportunity to do it. Don’t put your life on a waiting list, otherwise it (your life) will turn its back on you. Despite one month doesn’t last long, it can be very full and exciting – it all depends on you. Don’t be lazy and passive and you’ll be attracted to many positive events and occasions. May this month have a successful start and a lot of great achievements in the end! The beginning of month is a good time to take care of some business that was put in a drawer and set new targets. Wish you a very successful month full of great accomplishments! May this month bring you success and well-being in your professional and personal life! Enjoy it at the fullest extent, buddy! you will not have another opportunity. because you may not get another chance! I wish that this upcoming month brings you much joy, love and inspirational moments in your life! I wish that every day of this new month bring you lots of reasons to smile and to celebrate! Take a positive look on mistakes of previous month, because they can teach you and make you wiser and stronger this month. I wish that your efforts be rewarding and this month bring you one more step closer to your goal. It is the very beginning, so get ready to face all the new exciting challenges waiting for you! New month brings new opportunities, new ideas, new expectations. 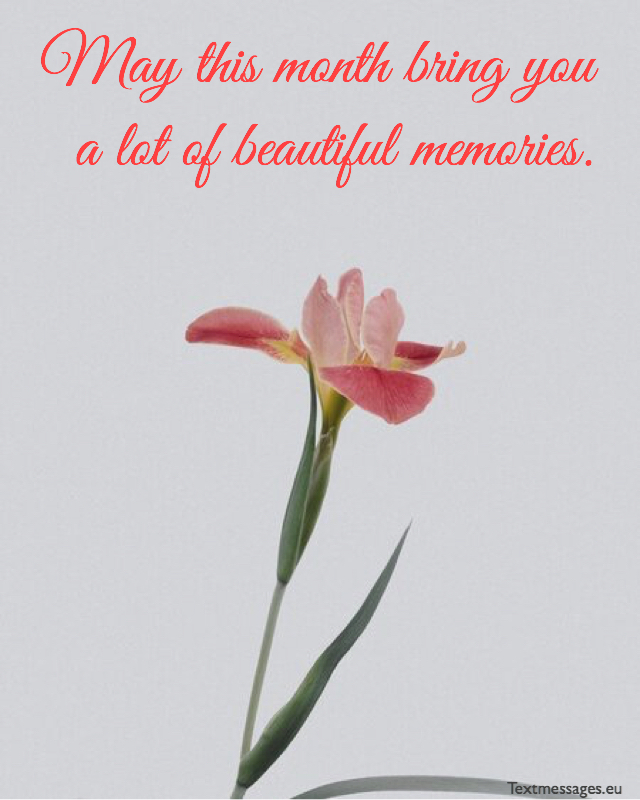 I wish that you make the most of them, have a great month! May all prejudices against each other disappear. Wishing you a peaceful new month! In a new month it is important to forget the past and think about future, because it is the only thing you can actually change. There’s a fire within you that can change the world. You just need to learn to listen to it. At the beginning of a new month I want to remind you: no matter how hard it gets, keep going. Everyone can give up, but only the greatest have the strength to overpower the weakness. May this month bring you a lot of happiness. It is always very exciting to start a new month because you have a lot of inner strength. I wish you to keep that fire inside till the end of the month and always have courage to cope with difficulties. 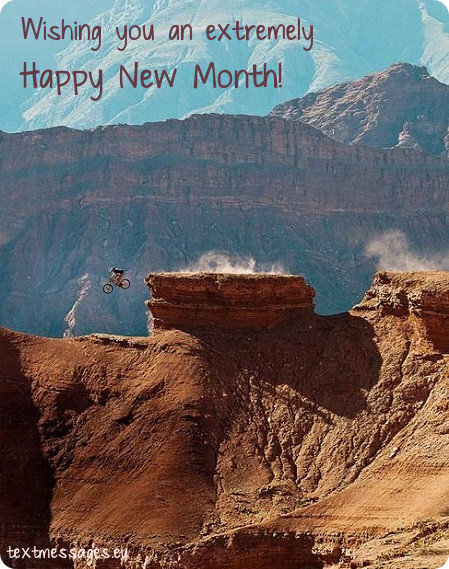 Have a nice month! Don’t be afraid to show the world who you are this month. It is a great opportunity to let everyone know that you are one of a kind. I hope that this month will bring you a lot of joy and unexpected gifts. Stay strong! Pretty sure that the past month was amazing. But I’m even more sure that the next one will be even more awesome. You have everything to make it special, and I know you will. Wishing you a lot of strength and inspiration. 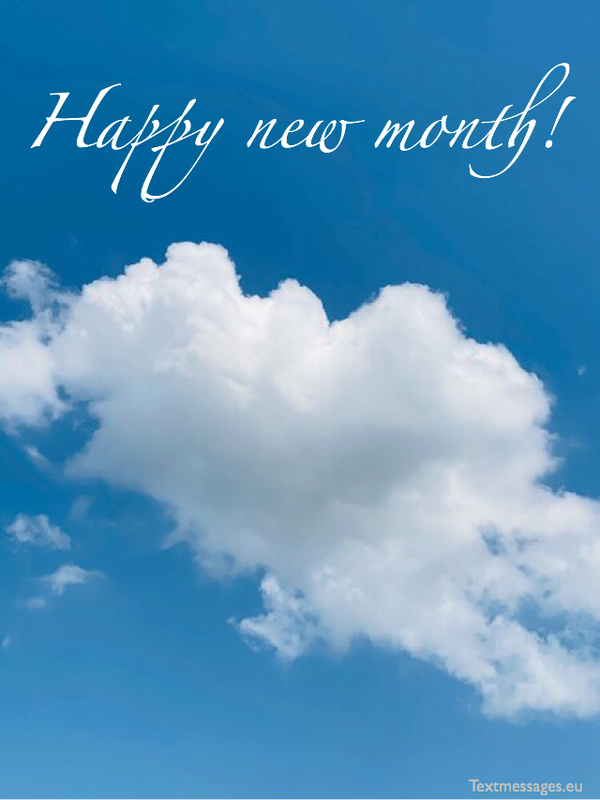 May this new month be one of the most blessed and happy months for you! May this month bring positive changes into your life. And let these changes be as good as you are. And only the good things will come into your life. 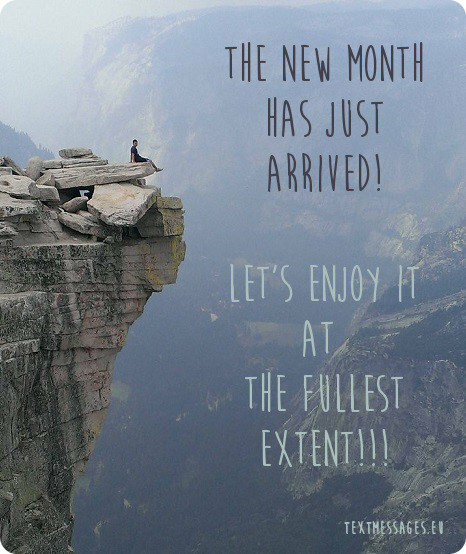 Happy new month to you! 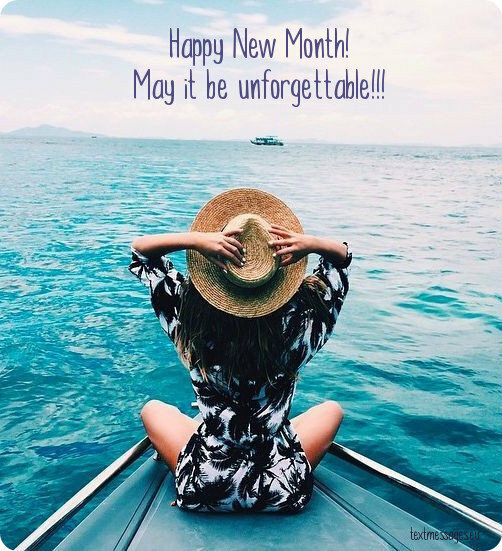 Happy new month and good luck to you! 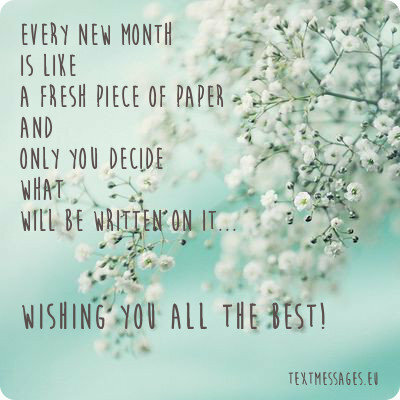 Every new month is like a fresh piece of paper, and only you decide what will be written on it, wishing you all the best! 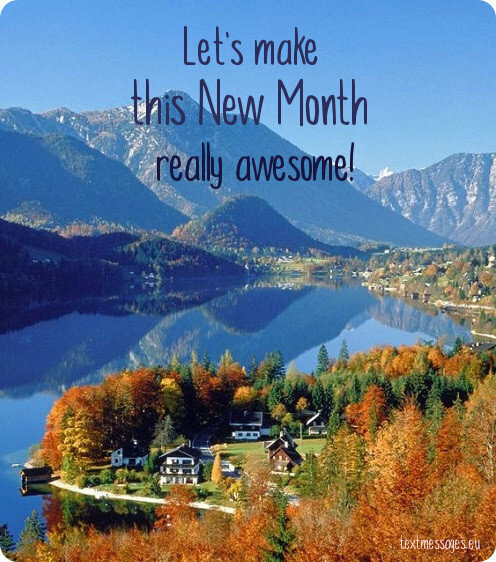 A fresh month has come! How much you are capable of achieving! The new month has just arrived. Let it be filled with cheerfulness and delight! And start moving towards your goals and dreams! Filled with exciting experiences and great opportunities! 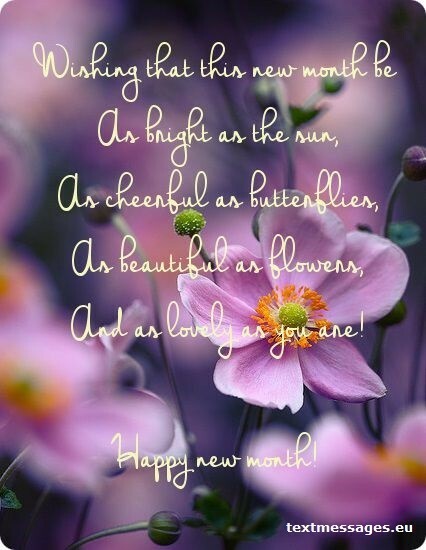 Happy new month, dear friend!